The Calf Milk Replacer Guide provides a wealth of information about milk replacer ingredients, product tags, mixing and feeding, formulation & feeding rate, cold weather strategies as well as tips for raising a healthy calf. 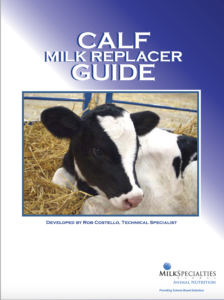 The Guide is a solid resource for those wanting to improve their knowledge and understanding of milk replacers and is an excellent primer if you are new to milk replacers and feeding calves. Milk Replacer Ingredients discusses the function and characteristics of major proteins, energy sources, vitamins & minerals, medications and other additives. Milk Replacer Tags provide a wealth of information about the product in the bag. Mixing and Feeding Milk Replacer may seem easy, but there are a number of issue that can occur that affect the milk replacer or even the calf. 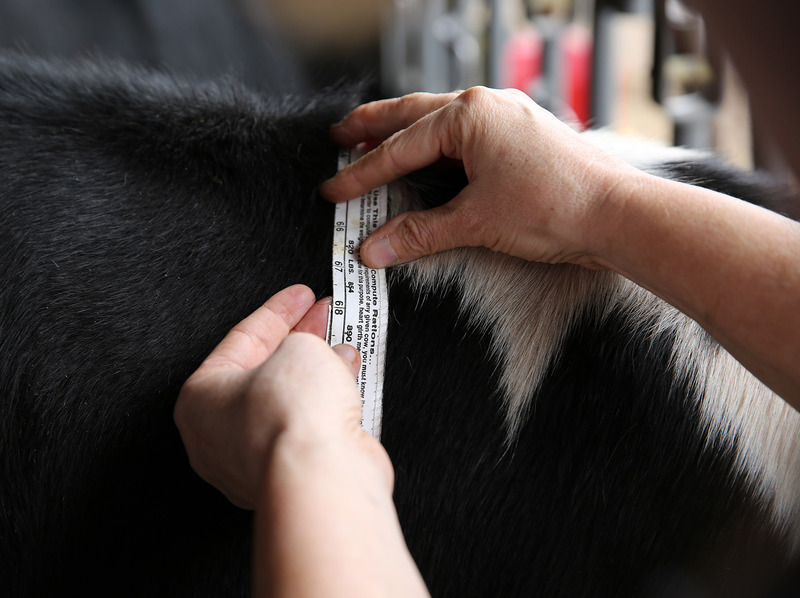 Accurate measuring is key to consistent nutrient intake. Formulation and Feeding Rate are key factors in selecting the right milk replacer. Protein and fat percentages indicate how the milk replacer is to be fed. Cold Weather Feeding Strategies describes adjustments you can make to your calf feeding program to support and protect calves as the temperature drops. Tips for Raising a Healthy Calf provides guidelines and good management practices for key management areas: colostrum, milk replacer feeding, cleaning and sanitizing feeding equipment, water, starter and weaning.